Here we are with yet another Women’s Wednesday! Last week we talked about Polixena and her sad fate: today we will be focusing on her very mother, Queen Hecuba of Troy. That of Hecuba is a story full of sorrow. The second wife of King Priam of Troy, Hecuba bore many children: some say 19, others 14. 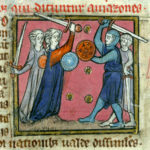 These included several major characters from Homer’s Iliad, such as Hector, Paris, the prophetess Cassandra, and Polixena. Much like many of her children proved to have some sort of gift, Hecuba herself often experienced premonitions, prophetic dreams, and ominous nightmares. 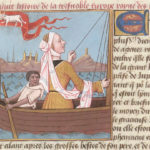 While she was pregnant with Paris, for example, she dreamt about giving birth not to a baby but to a flaming torch covered in snakes and thus setting Troy on fire. 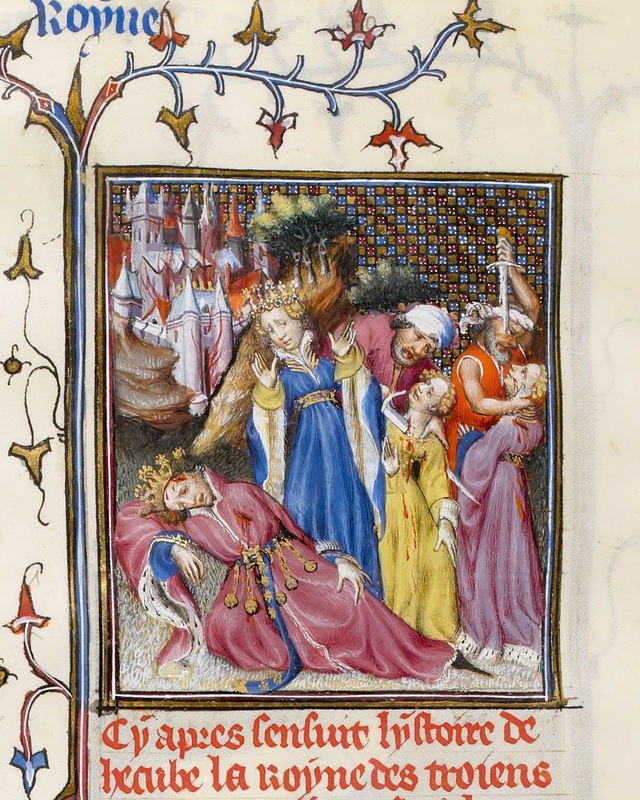 Terrified by such a nightmare, the king and queen asked the prophets of the city to interpret the dream: it, of course, was a terrible omen that predicted that if the child lived, he would be responsible for the fall of Troy. Once he was born, Hecuba thus ordered for Paris to be killed; two servants, however, had pity of the child and abandoned him on a mountain, only for him to be found and raised by a shepherd. 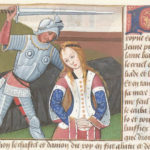 Years later, Paris returned to Troy and famously triggered the Trojan War by kidnapping Helen, wife of King Menelaus, from Sparta: the prophecy was thus fulfilled, and Hecuba herself had to witness the death of most of her children. 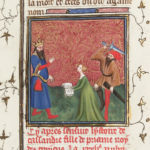 “Hecuba”, illumination from the manuscript “Livre des femmes nobles et renommees”, ms. Français 598, f. 47v, 1403, Bibliothèque nationale de France, Département des Manuscrits, Paris. Eccoci ad un nuovo Women’s Wednesday! Se la settimana scorsa abbiamo parlato di Polissena e del suo triste destino, oggi ci soffermeremo invece sulla madre, la regina Ecuba di Troia. Quella di Ecuba è una storia piena di dolore. Seconda moglie di Priamo, re di Troia, Ecuba partorì numerosi figli: secondo alcune fonti furono ben 19, secondo altre “solo” 14. 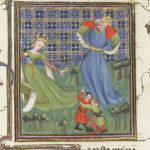 Fra questi molti furono fra i principali personaggi dell’Iliade di Omero, come Ettore, Paride, la profetessa Cassandra e la stessa Polissena. Così come molti dei suoi figli dimostrarono di avere qualche dono o talento, Ecuba stessa era spesso soggetta a premonizioni o incubi di cattivo auspicio. Mentre era incinta di Paride, ad esempio, sognò di partorire non un bambino ma una torcia infuocata e avvolta da serpenti, la quale dava poi fuoco a Troia. Terrorizzati dall’incubo, re e regina chiesero ai profeti della città di interpretarlo: era, naturalmente, un terribile presagio che indicava che se il bambino fosse sopravvissuto, un giorno sarebbe stato responsabile della caduta di Troia. Una volta nato, Ecuba ordinò quindi che Paride fosse ucciso: due servi, tuttavia, ebbero pietà del bambino e lo abbandonarono su una montagna, dove fu trovato e cresciuto da un pastore. Anni dopo Paride tornò infine a Troia, dando inizio, come noto, alla Guerra di Troia rapendo Elena, moglie del re Menelao, da Sparta: la profezia si era così avverata, portando Ecuba a dover assistere in prima persona alla morte della maggior parte dei suoi figli. 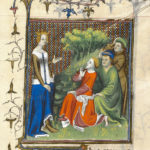 “Ecuba”, miniatura tratta dal manoscritto “Livre des femmes nobles et renommees”, ms. Français 598, c. 47v, 1403, Bibliothèque nationale de France, Département des Manuscrits, Parigi.